Even after these Valentine cards are restored, you can see that they are old. I hope you will see this as a charm, not a failure in the restoring 🙂 They are old, and unless you change them totally, they will still look like they come from an earlier century, which the of course do. From a time where cards could be more naive and cupids were something you really counted on when it came to love, and telling your loved one about how much you cared. These free printable Valentine cards are in different sizes, you can read above the card which size it will be when printed with 300 dpi, which will give you a really high quality in the print. Of course you can also choose to send the Happy Valentine card as an e-mail, in that way the size shouldn’t matter that much. 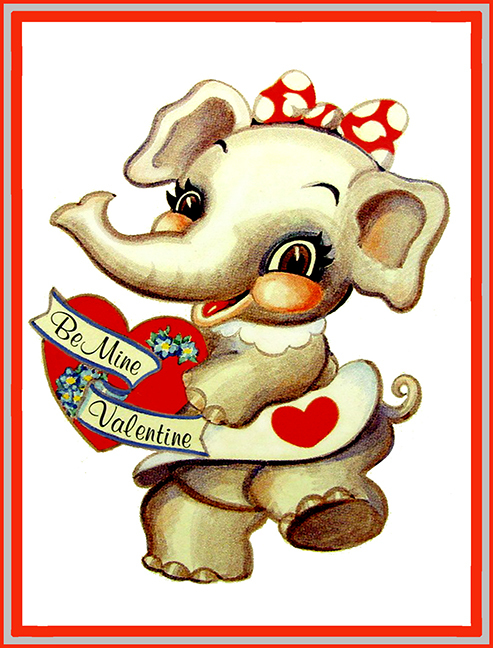 This first of the Happy Valentine cards is my favorite of all these old cards. It pictures a very human little cupid working as a blacksmith, shaping all kinds of heart. Right now the cupid is making a really huge heart to send with the card. This Valentines day cupid card has none of the sometimes too cute feeling there can be with these old cards. 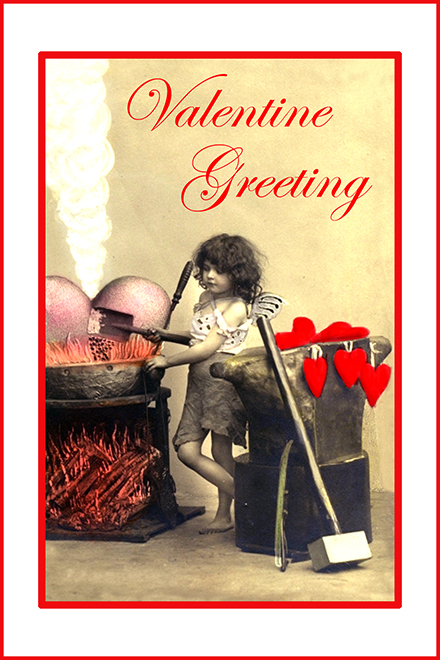 It is very much a no nonsense Valentine greeting. Here comes a card that is more in the “cute” style, but in the same time it is really a little grotesque, with the innocent little cupids playing tennis with red love hearts. 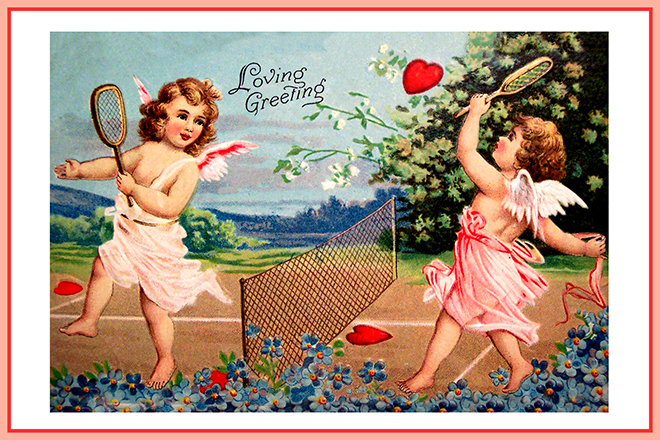 I am not sure I would like them to play tennis with my heart – and it is a card that is both sweet and a little funny. Again this card will be 6 x 4 in (10,1 x 15,2 cm approx.) printed with 300 dpi. 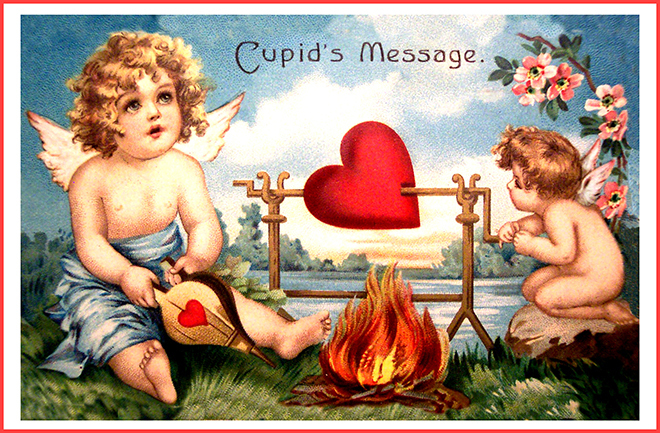 Two little cupids roasting a red love heart over an open fire – and the text says cupid’s message. I am not sure what this message will be, so I guess if you don’t know either you will have to add your own message to your loved one. This is a Valentine card for the kids, or to send to a kid. The size of this kids Valentine card is, printed with 300 dpi, a little smaller than the others. It will be 4,5 x 5,9 in 15 x 11,4 cm. 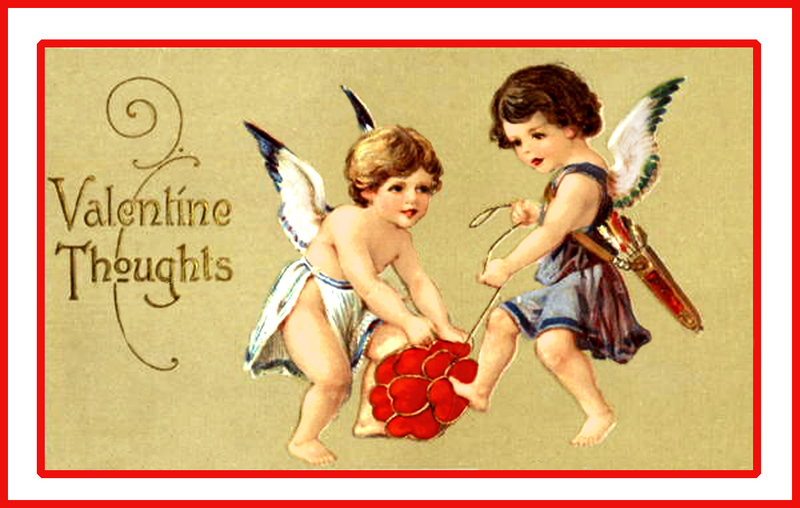 The next Valentines day cupid card has two cupids carrying red hearts in a net. I think they are getting ready for Valentine, getting ready to hand out all these heart to the receivers of Valentine cards. Size 5 x 3,1 in (8 x 12,5 approx ) printed with 300 dpi. 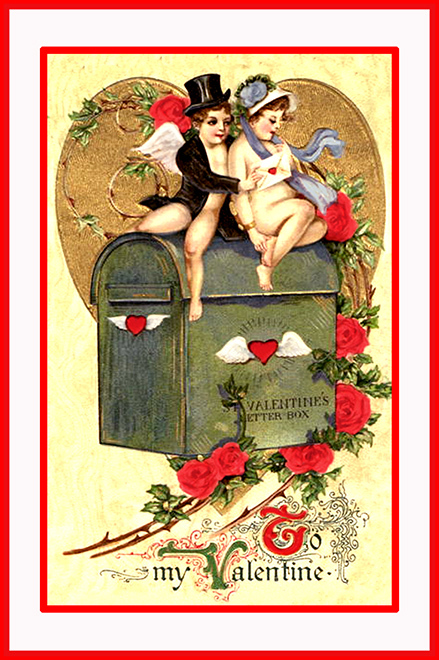 To My Valentine and the motive of two party dressed cupids on top of a mail box for Valentine letters. Here the size again will be 6 x 4 in.